Why should you start a cosmetic business? You love to put on makeup and your touch ups are so artistically beautiful that all your friends appreciate it. And you love to try out all the new cosmetic products and sometimes you earn even earn a few pennies by writing reviews and you dream of starting your own business of cosmetic products. So why don’t you make a move forward to see what the world of cosmetics has to offer you? The cosmetics industry is one of those few industries that earns billions every year globally. Once it mainly circled around the hands of a few multi-national companies that made money in the cosmetic business; but the scene is quite different today and numerous independent and artisan cosmetic concerns are developing into very successful ventures. So, starting a cosmetic business right at this point can be both enjoyable and profitable when you have a solid business plan to back up and all the creative and entrepreneurial spirit along with the passion to jump right in. Educate yourself about cosmetics and their uses? You already have a flair and panache for makeup and you would just need to take a step forward to boost your competence. 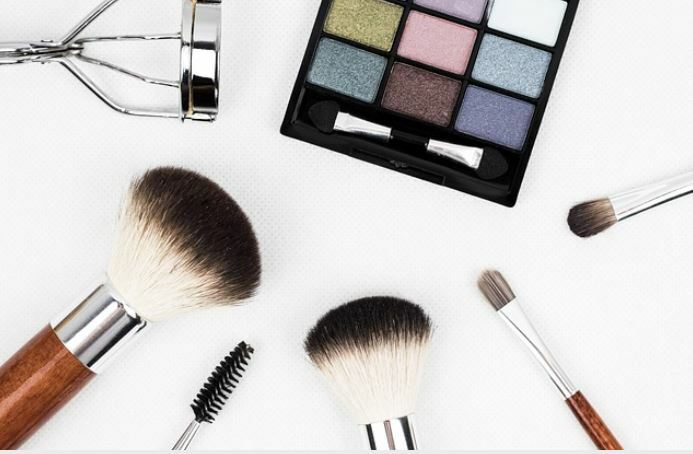 If you are really serious about starting your own makeup business, it’s crucial to have a clear understanding of various make up, their ingredients and efficacies and how each piece of makeup works. The world of cosmetics is a huge one and you should be fully versed about all the products in skin and hair care range along with the intricacies of pedicure and manicure. Though you have an innate grasp over various cosmetic items, it is significant to get a hold of the chemistry behind the beauty essentials, the methodologies used for making different products and how a single item works as a beautifying and remedial agent for specific skin issues. Slowly, you will understand that all you knew, though being useful is just the tip of the iceberg and it is mandatory to get a bit deeper into it by enrolling in a college diploma on Cosmetology, getting through the basic chemistry if you can’t afford to manage for a coursework in Chemistry, learning about organic products and their efficiencies, understanding which ingredients work for which type of makeup and also have a close reading of the leading personalities of the makeup line such as Estee Lauder, Helena Rubenstein among others and how they started off and evolved and became a brand in themselves. How to identify your niche? The word “cosmetics” encompasses a broad variety of products starting from hair colourants to foundation, from concealer to lipstick, from nail polish to mascara and so on. You will be surprised to know that cosmetics even refers to deodorants and even toothpastes and therefore it is very important that you determine what would be your initial focus of concentration. Besides determining whether you will sell skin cosmetics or hair cosmetics, it is also crucial to identify whether your products would be organic or chemical rich. The recent buzz is all about going green in all respects and it would be wise if you start off with organic natural products. But if you have any personal preference, then it is always advised to what your heart says as it is where success is. Or another viable option is to take a franchise of a reputable brand and sell them to people who are already converted into loyal consumers. This way you will get a hold of a strong consumer base right at the start and all your efforts will have to be invested for holding them and turning more consumers towards your business. Regardless of how you operate your business, it is very important to know your course right from the beginning. 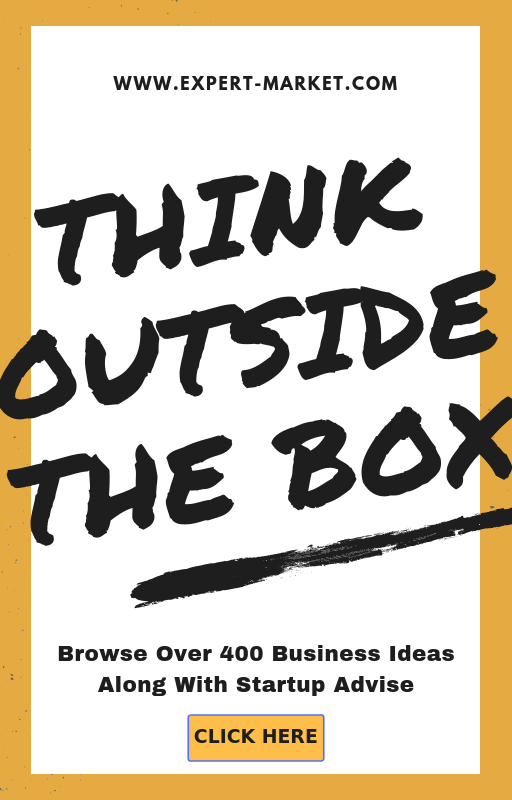 How to build your own business? Once you are equipped with all the needful knowledge about your cosmetics business, it is now time to give your business a unique and attractive name. Regardless of whether you wish to run your business online or establish a brick and mortar store, it is crucial to have a name that doesn’t sound cliché, sounds apt with your line of products and echoes your goals, business objective and passion to beautify all. You may add a chic and catchy tagline below the name but make sure it doesn’t sound similar to that of any of the successful brand. Though William Shakespeare said, “What’s in a name?” today’s aggressive competition and tough marketing strategies doesn’t allow even a slightest mistake, not even in the name. You have got the name right and your next step is to find out whether you will run an online store or lease or rent a space to establish your exclusive store of beauty products which would definitely mean you will have to get your shop registered with the local governing bodies and obtain a trade license number. Both have their sets of pros and cons. For instance, in case of an online retail, you will not have to rent or lease a space and you can reach out to those super-busy fellows who can’t find the sneak out to reach your store but you will miss out those fellows who can’t place an order online or can’t wait to get their favourite cosmetic product delivered to their address. While having a brick and mortar store essentially solves the last two issues, the costs you are likely to incur to rent and have an interior decoration may seem unbearable to most aspiring entrepreneurs. Weigh your abilities and drawbacks, judge both the options very minutely without hurrying and you will surely get an option that’s ideal for you. It’s worthy to note here that if you go with one option, the other option will always be open to you to be exploited whenever you feel you are ready for it. How to determine your target consumers? Do you know of a woman who doesn’t love makeup and cosmetics? Even men have become very much conscious about their looks and presence in recent times. However, when you are running a business, it is important to identify a target group of consumers who you want to sell your products to. In case of cosmetics products, the type of items you are willing to sell will largely determine your consumes. For instance, if you have taken a franchise from a popular makeup brand, then its consumer base would automatically be yours, if you are selling makeup products that have not gained any fame or absolutely a new brand of cosmetics, then you would have to select a group of users who believes in trial and error methods and is willing to experiment with what you offer. A good rule of thumb is to try to reach out to all the ladies who are craving to look their best, correct the inaccuracies in their facial features and have a good track history of shopping various kinds of personal products in the mode you approach them with. This is a sure-shot way of determining the target group of users regardless of your method or products but make sure you go ahead a step further with the right marketing and advertising venture so that your efforts don’t go unsuccessful at this critical juncture. How to market and advertise for your cosmetic products? The demographics point that the cosmetic product market is predominantly female-oriented but this is where all the similarities end and the cosmetic buyers are as different as the products they choose to buy. Today eye makeup, lipsticks, moisturisers and foundation compacts are available in both natural as well as chemical based compositions in absolutely an uncountable number of ways. So it is extremely crucial to get the marketing strategies right so that you don’t run out of the track. While most of the reputed concerns are looking to sell online owing to the greater accessibility of clients and saving overhead costs, it has its own set of limitations. For instance, there are many people who would be reluctant to buy a perfume without being able to smell it or buy a foundation without being sure that the shade is ideal for their complexion while some other would never buy a lipstick or lip gloss without trying it firsthand. So what do you do if you run an online cosmetic retail? The answer to this unavoidable question is to sample as much as possible: through outlets, through kiosks in shopping centres, or as product samples inserted in consumer packages. Merely putting up massive banners and billboards would take you nowhere if your targeted consumers are not able to get a taste of your products. 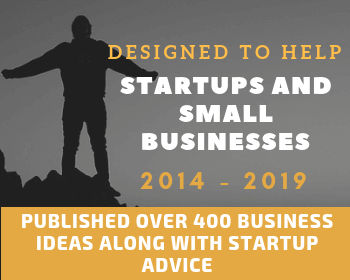 Also, you cannot primarily depend on one source to reach out to people and therefore, you will have to try out all methods- sending email newsletter, offering discounts, launching early bird combo offers and of course keeping the price low. Though this would harm your profit margin initially, but make sure you receive benefits in the long run. Determine the profit margin for your cosmetic products business? With all being set in place, it is now time to determine the profit margin for your cosmetic product business. To find out the mark up, you will have to work out your costs, quantity of the product, costs of marketing and advertising, distribution costs and most importantly, how much the market is paying to your contenders. When you have a clear figure and statistics of all these points, you will be able to carve out a suitable profit margin. It is noteworthy here that though you may have started out of love and passion for cosmetic products, your business will surely increase and compel you to take into consideration all the important factors that come into play for running the business successfully. Also, you will have a different markup if you operate your business from home or you run an online retail as your expenses would be relatively lower than that of a retail establishment. When you are determining the pricing of various cosmetic you would like to sell, it’s better to create an excel sheet and factor out your own costs, your required margin, marketing budget and some discounts that your retailers would definitely demand at some point or the other. If you miss out any of these points, you will see your own margin shrinking down and you may even head towards incurring loss. In addition to all these factors, you will have to consider the price points of your contenders and the margins of your retailers who would obviously deny to support and push your products unless you offer them anything. So, go ahead with these important points and the maze would finally lead you to get a clear picture of your product price and profit margin. What are the downsides of running a cosmetic products business? In India, the cosmetic industry has highly competitive marketing strategies and is dependent on the capability of a concern to produce innovative products within small intervals. This signifies, that if you start your business today, say with 5 different type of eye makeup products, your consumers would expect you to launch another whole range of eye makeup within a year or so. Plus, the international cosmetic brands constitute about 20 percent of cosmetic industry which suggest that the level of penetration is still below consideration and this is mainly due to their very high price point. However, the international cosmetic brands have already grabbed about ten millions of women aged between 23 to 50 years who use these top quality products. So, as a cosmetic product entrepreneur, you just have the remaining 80 percent to compete for which is infested with countless number of brands and local enterprises. Plus, the buying power of cosmetic consumers in India is quite high and to retail a hold on your consumers is a very daunting task. People are always in search for better options and they are not willing to stick to one brand of skincare or hair care product for their entire lives. This implies, if your consumers get a similar product at a lower price point, she will definitely look for the other option. And to top it all, though brand awareness is very appreciable in urban India, it is nowhere close to the brand loyalty of such consumers. Scope and opportunities in cosmetics business? Cosmetic industry is one those very few successful industries that has got the acclamation of being recession-proof! It holds a huge potential for further growth and it also adds to the economic development of our country. Today, cosmetic industry is in its mature stage and it has undergone a complete makeover in the last 20 to 30 years and it has gained a momentum right from 2010, from where we see a great influx of different cosmetic products, each with their extensive development that is here to stay for at least a couple of decades. The average time required for any breakthrough technology is about 3 to 5 years and a more advanced technology reaches us for an investment of about 2 to 3 million USD. This is the best time to “make your hay” as the industry is right at a mode to absorb new concepts, innovations and breakthrough formulations which serve to be the keys to success in the Indian cosmetic industry. What are the threats your business is susceptible to? Though the rise in sales of cosmetic products along with a growth of disposable incomes is sure to fuel the market growth of cosmetic products in India, easy availability of cheap Chinese products is a serious threat to the market. Additionally, the regulatory system is also not as strict as drugs and food products and therefore, most of the times any newly launched cosmetic product is susceptible to face the uncertainty of a properly schemed regulatory review. There are some products that face recall from the industry and there are some that lose themselves in oblivion. The European union has now banned products that are certified after being tested on animals and therefore an alternative to animal testing would definitely hike the production cost in near future. In recent times, there is a steady growth of counterfeit products and due to a very dense competition, the producers are compelled to keep a very low profit margin which points to the fact that, your odds of success as a small company is quite scant and you will have to make excruciating efforts to make bog things happen.